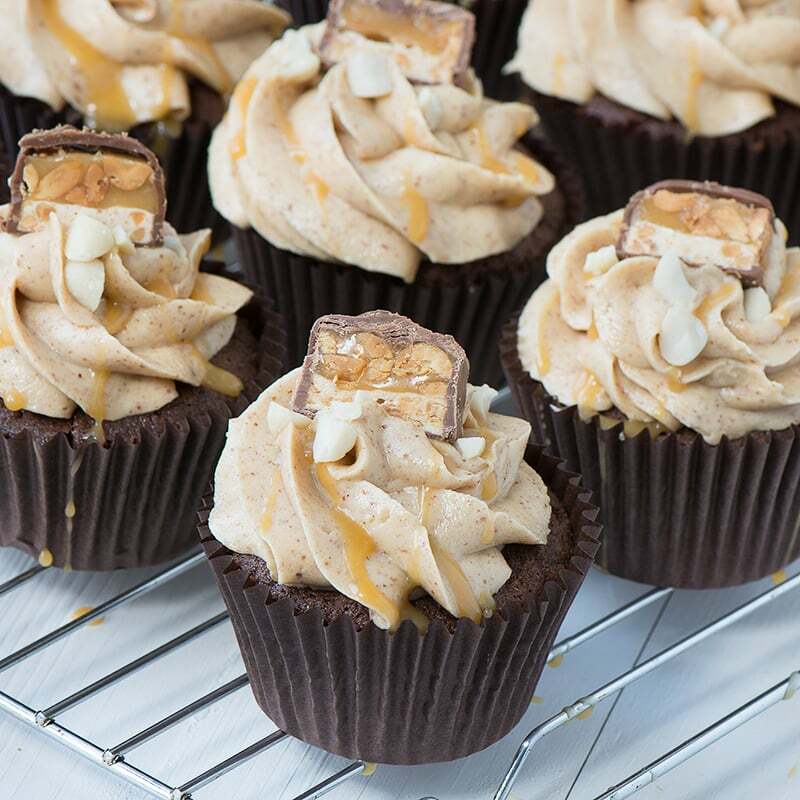 Chocolate Cupcakes filled with caramel sauce and topped with smooth peanut buttercream, more caramel, crunchy peanuts and a little slice of Snickers. 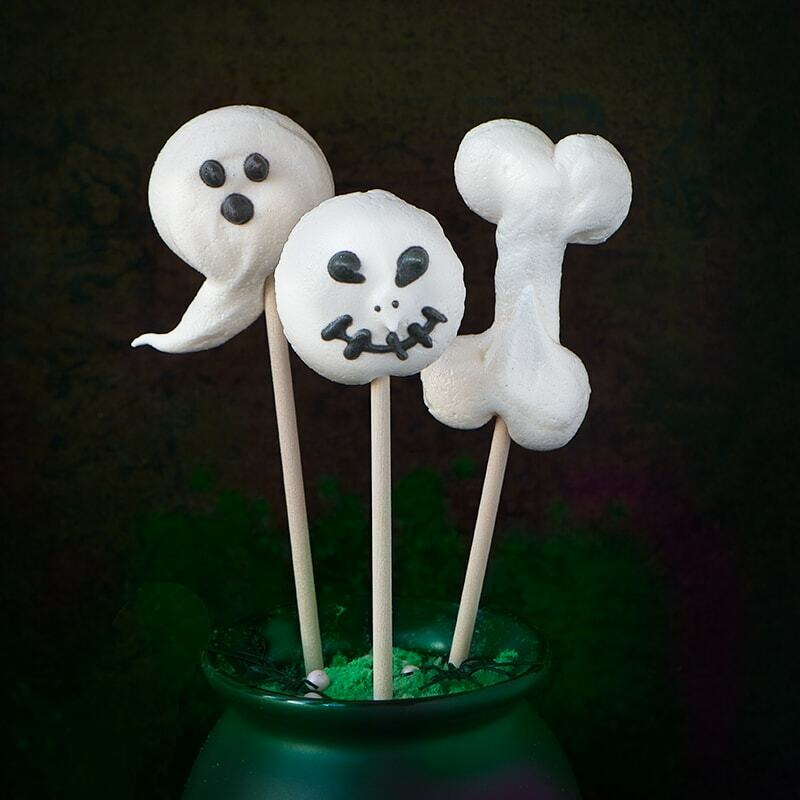 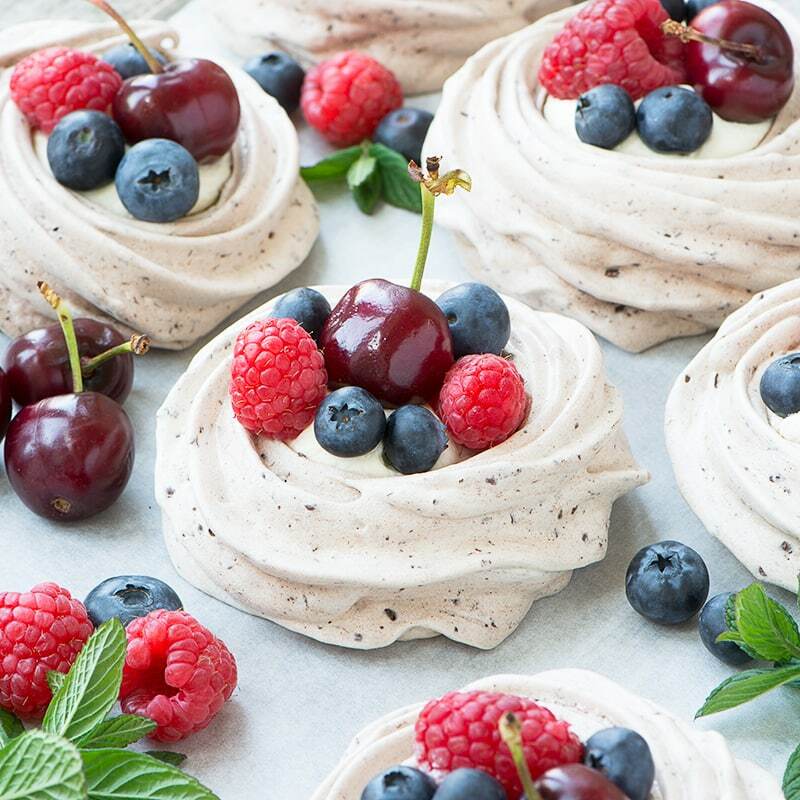 Take your meringues to another level by adding chocolate! 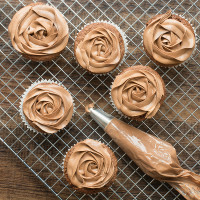 These easy to make chocolate meringue nests are crispy on the outside, chewy in the middle and very chocolatey. 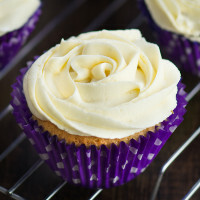 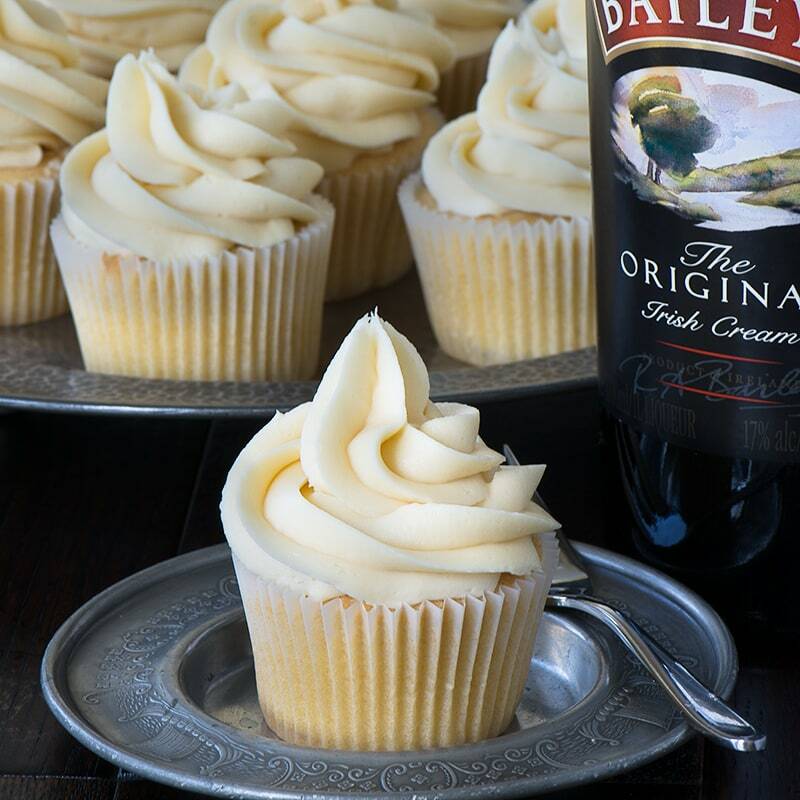 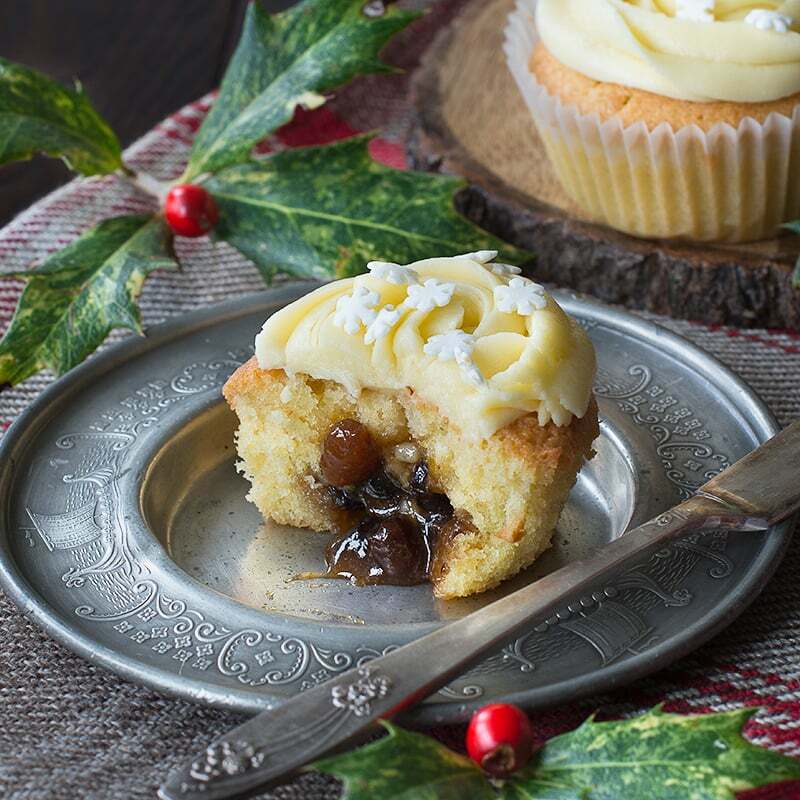 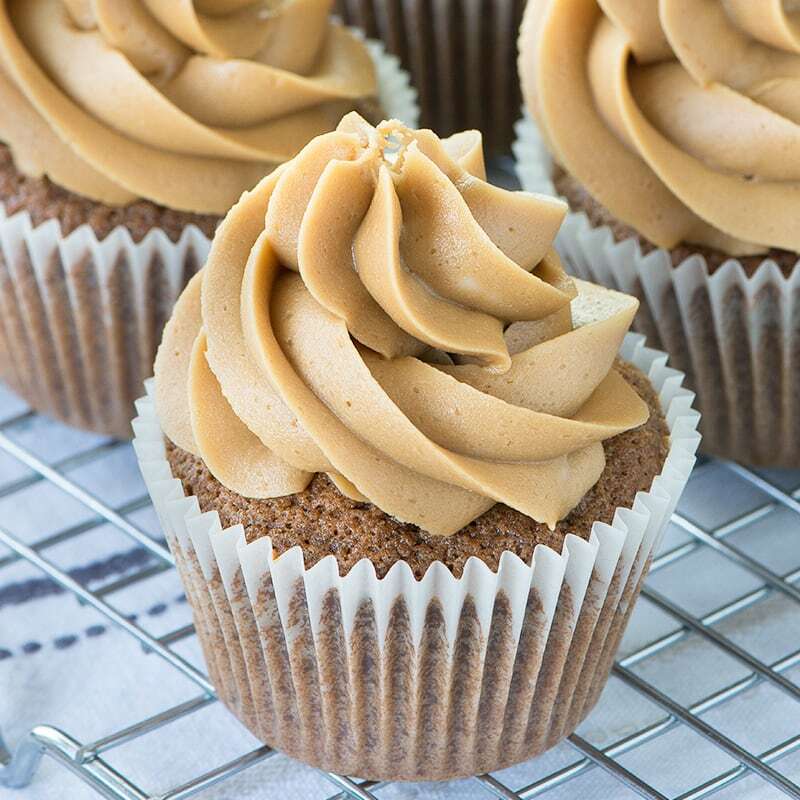 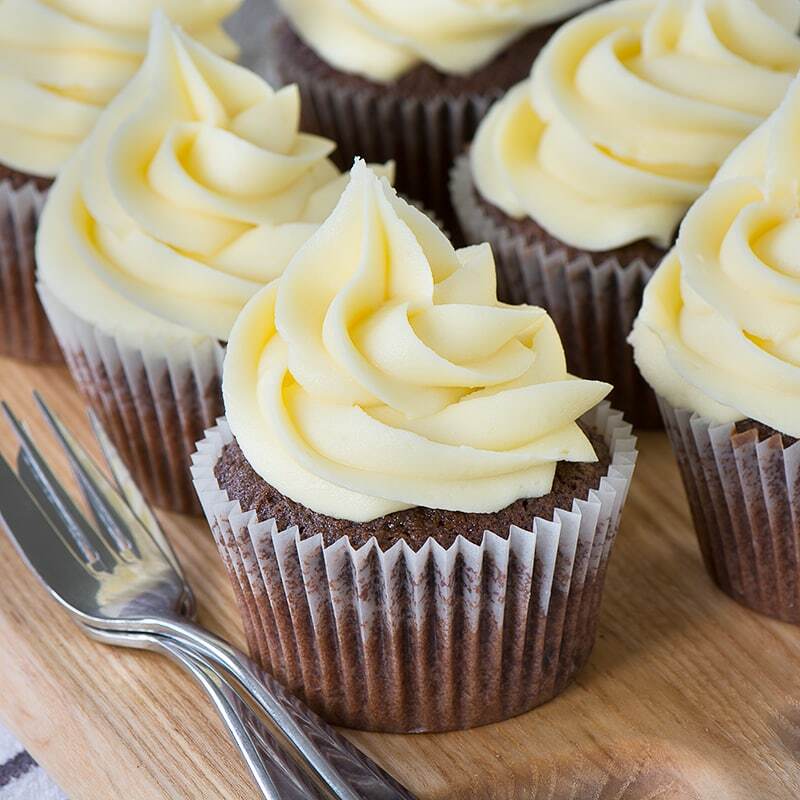 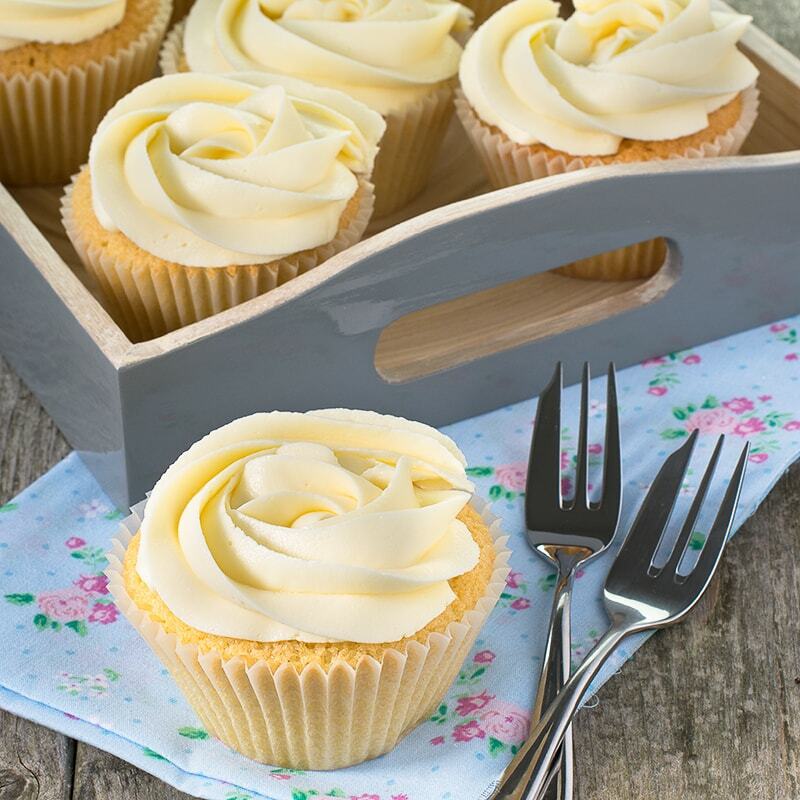 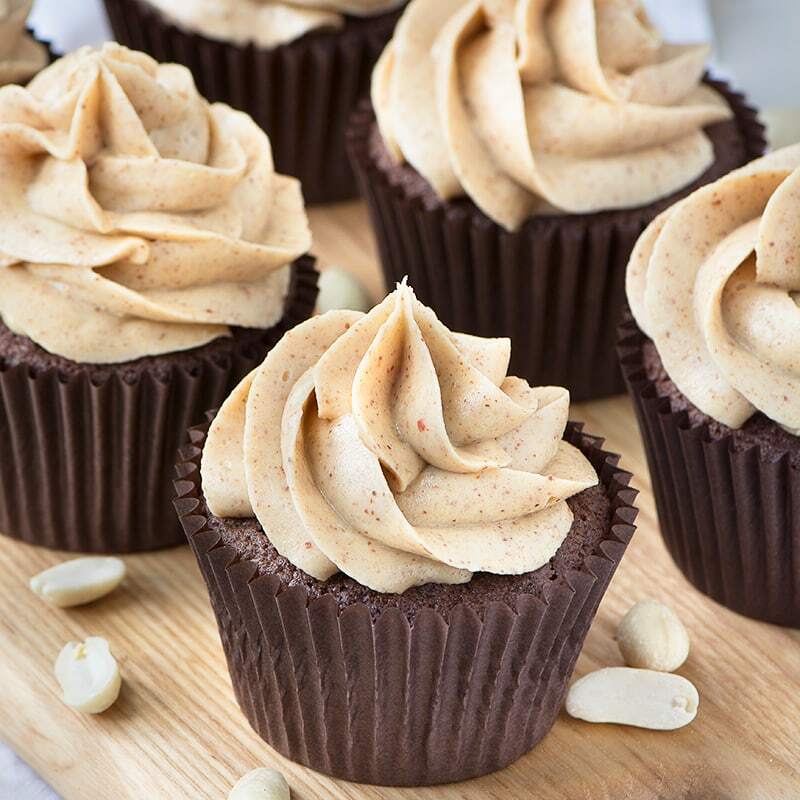 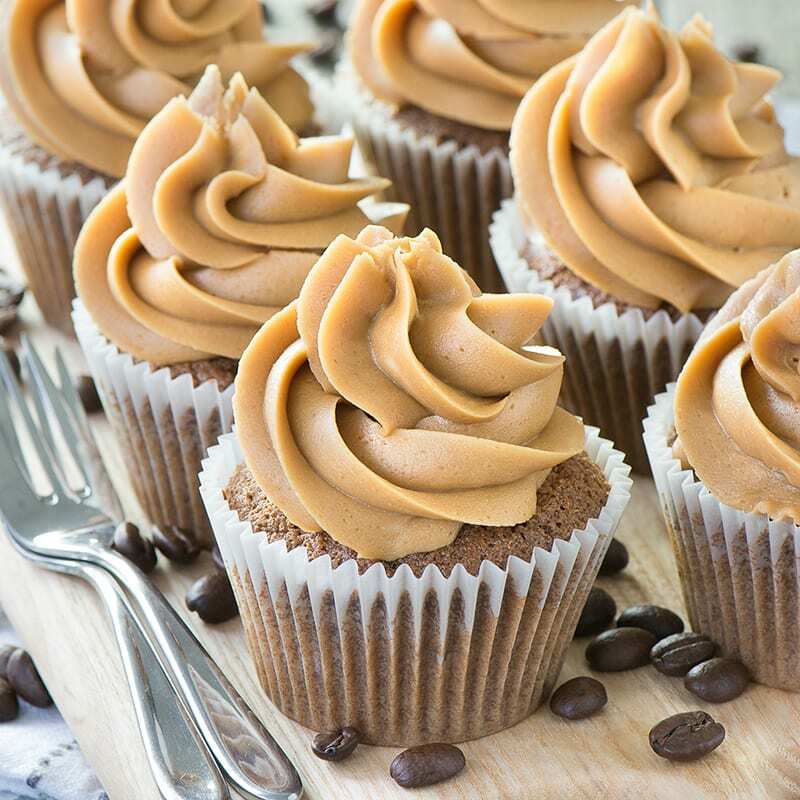 These Baileys cupcakes are so simple to make there’s really no excuse not to. 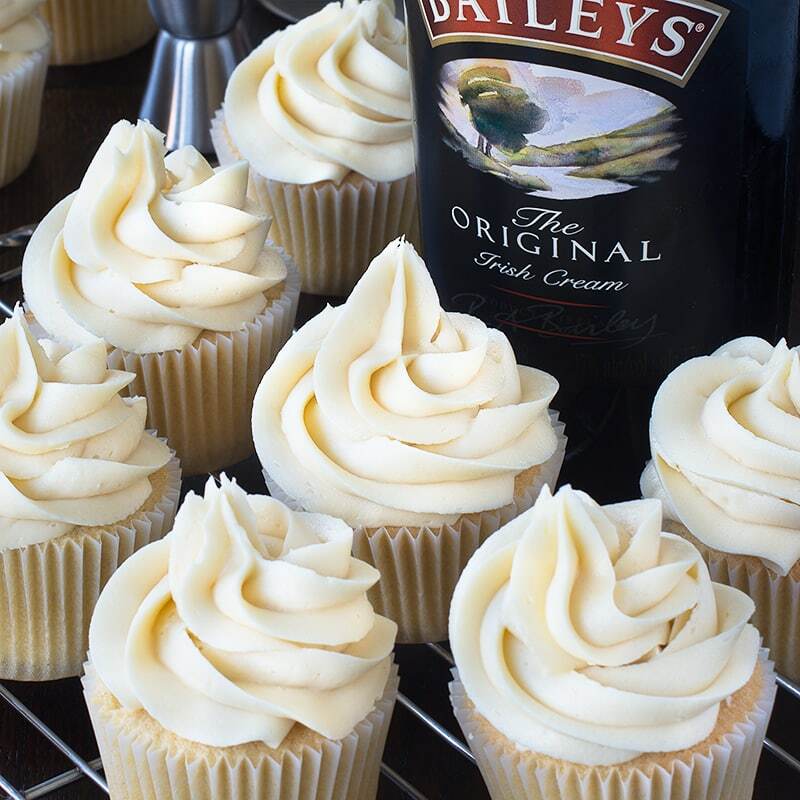 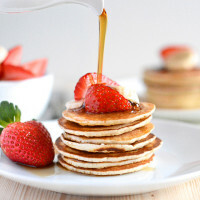 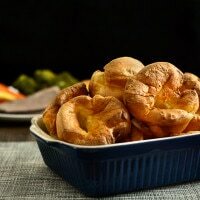 Perfect topped with Baileys buttercream and perhaps a hidden Baileys truffle centre too! 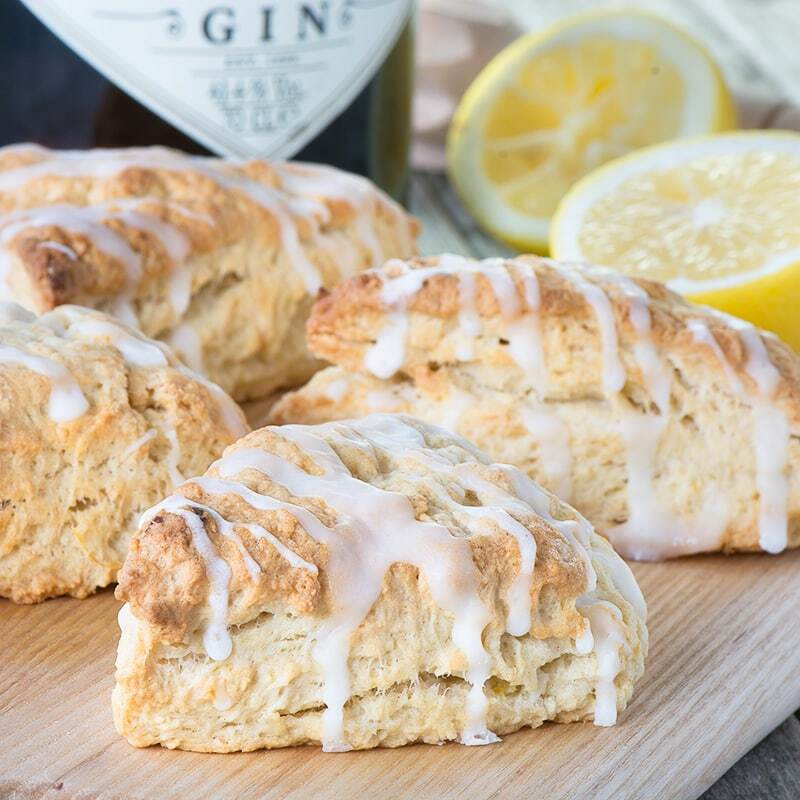 A delicious twist on traditional scones, flavoured with gin and lemon zest. 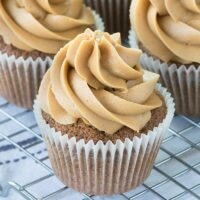 How to make perfect coffee buttercream icing. 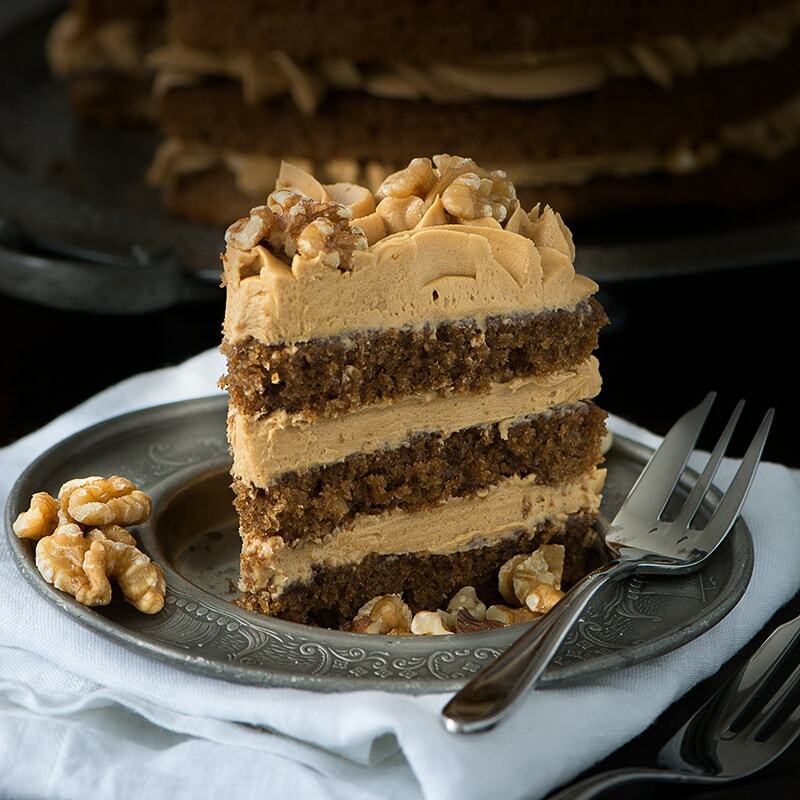 Ideal for cupcakes, macarons and layer cakes – especially coffee & walnut cake. 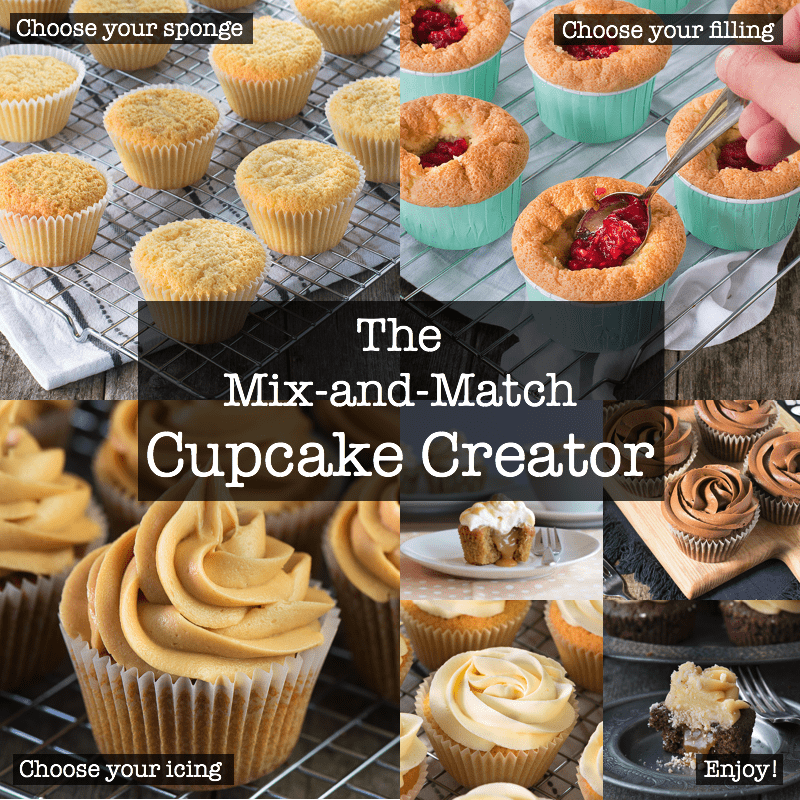 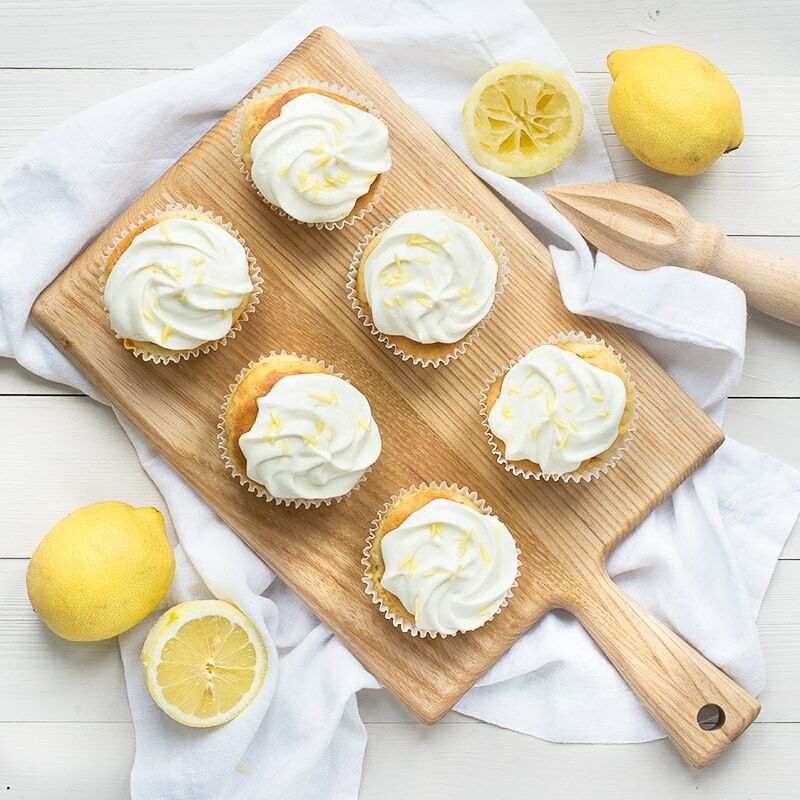 Create your own perfect cupcake recipe. 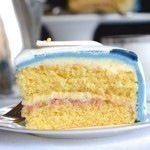 Choose your sponge, choose your filling, choose your icing and enjoy! 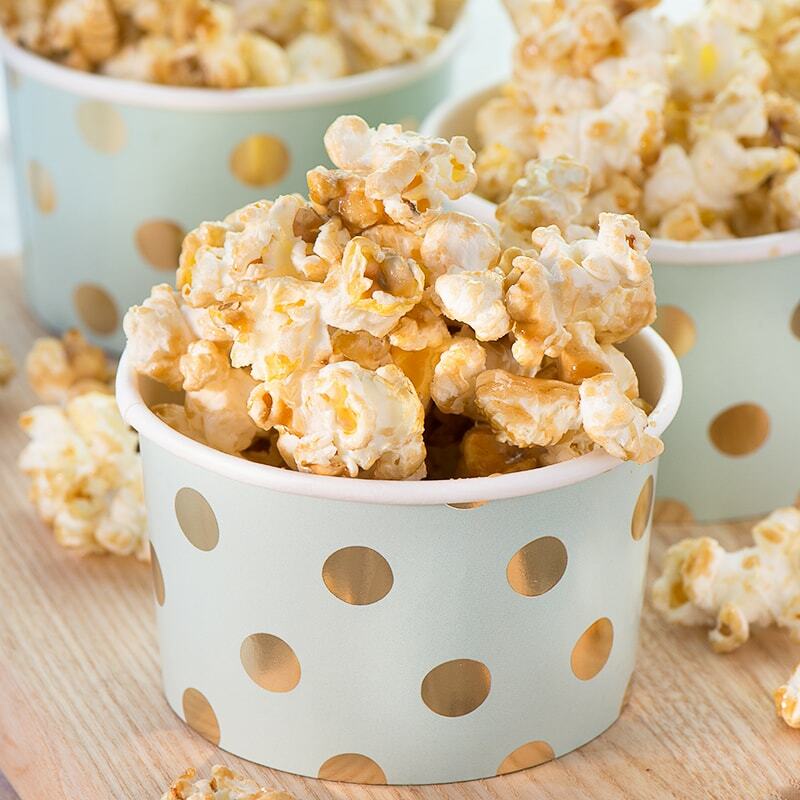 How to make sweet popcorn at home that tastes even better than at the cinema, including four different ways to pop your corn. 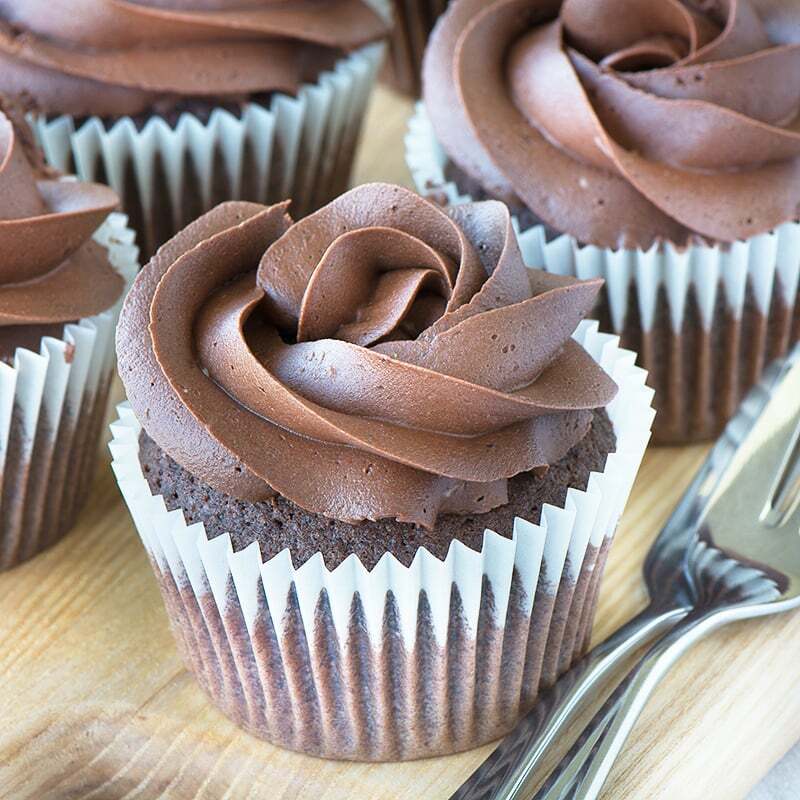 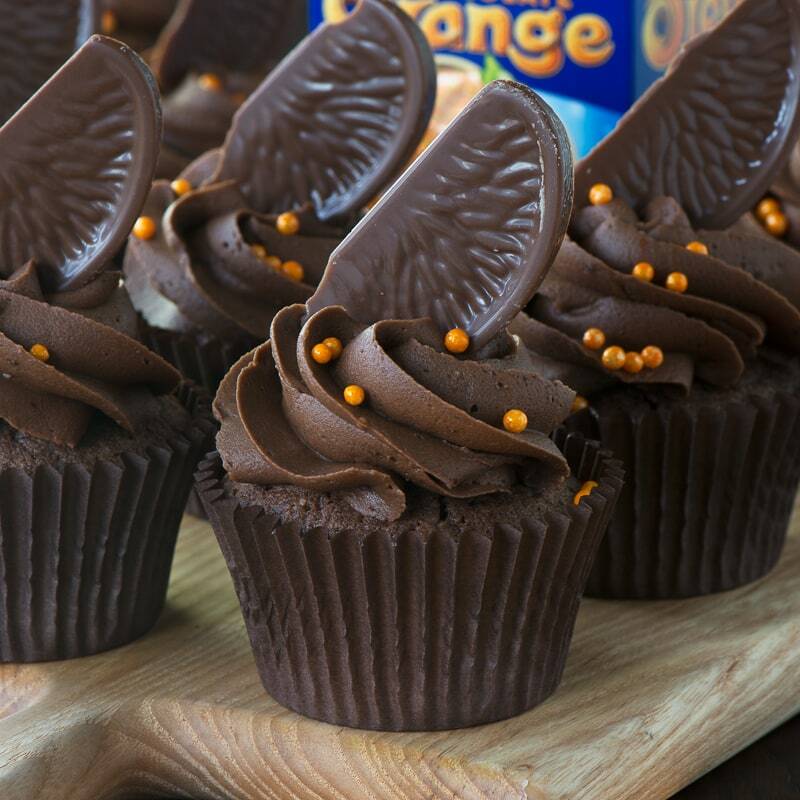 These chocolate cupcakes are easy to make and taste delicious. 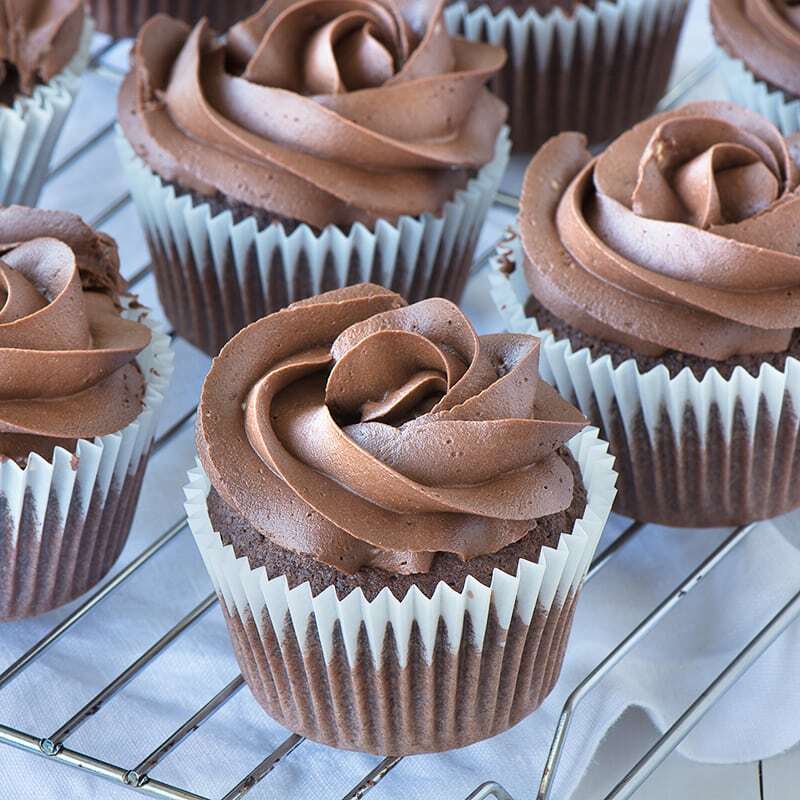 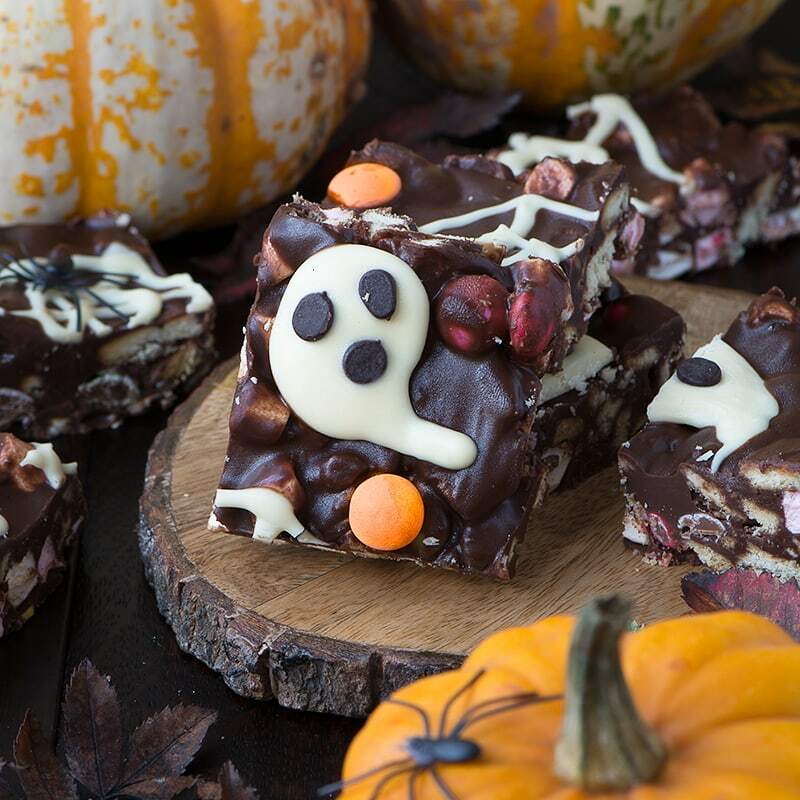 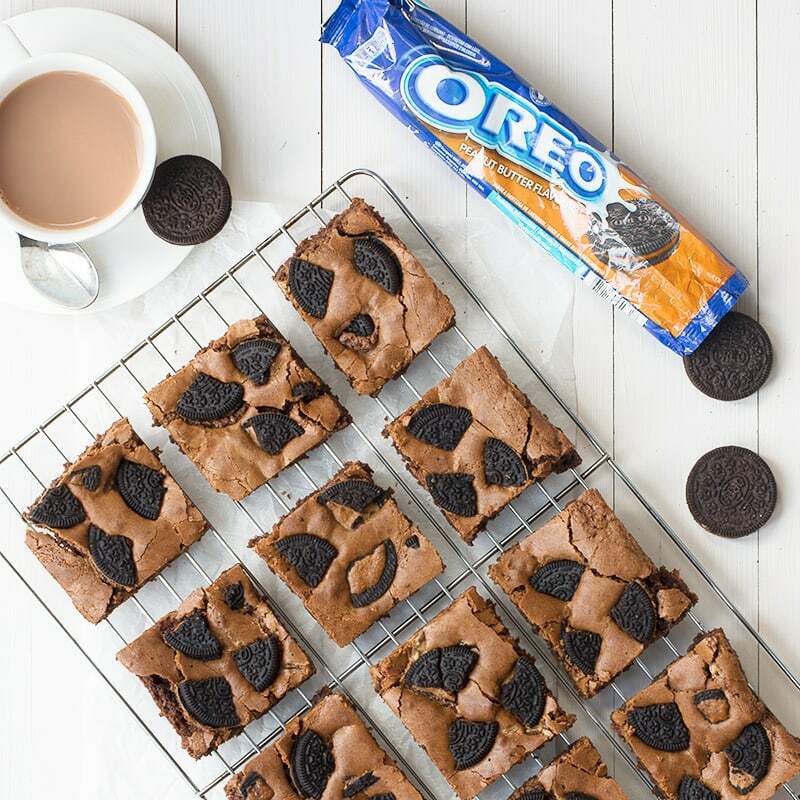 They get their extra chocolate-y flavour from both cocoa powder and grated milk chocolate. 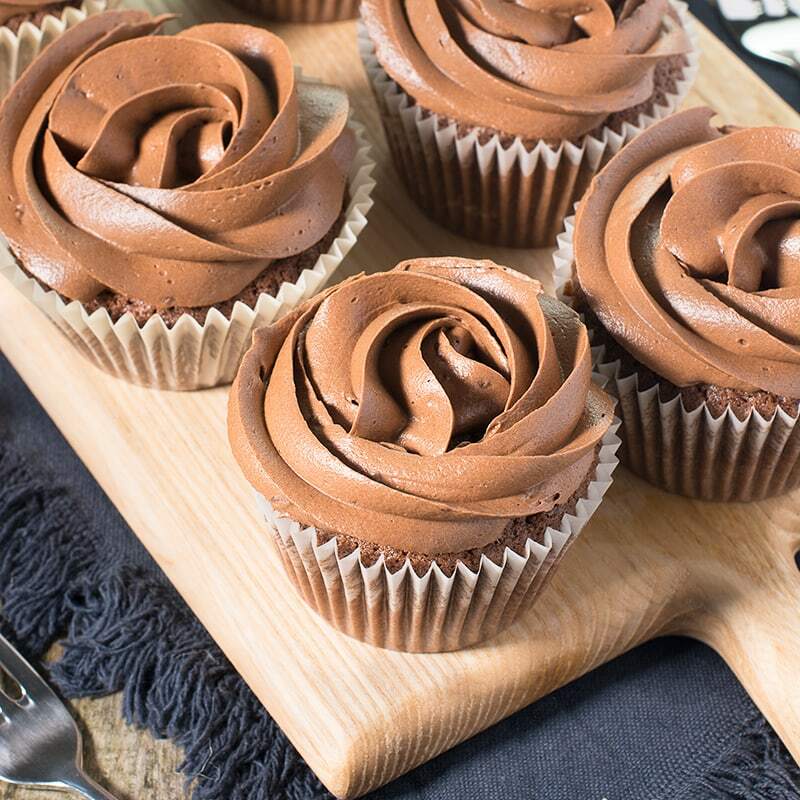 Perfect topped with smooth chocolate buttercream. 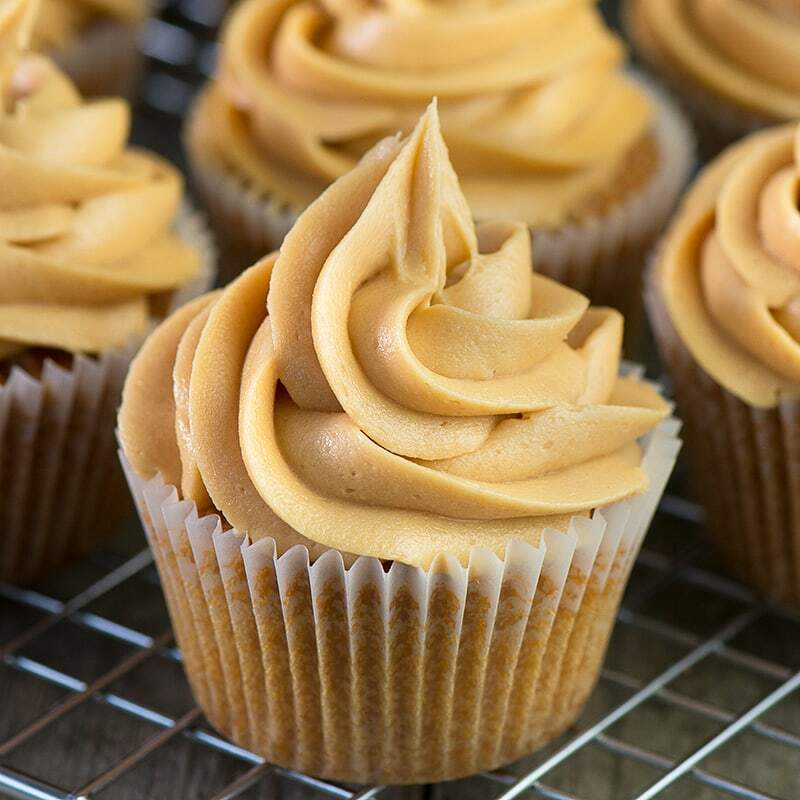 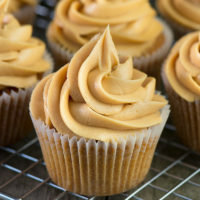 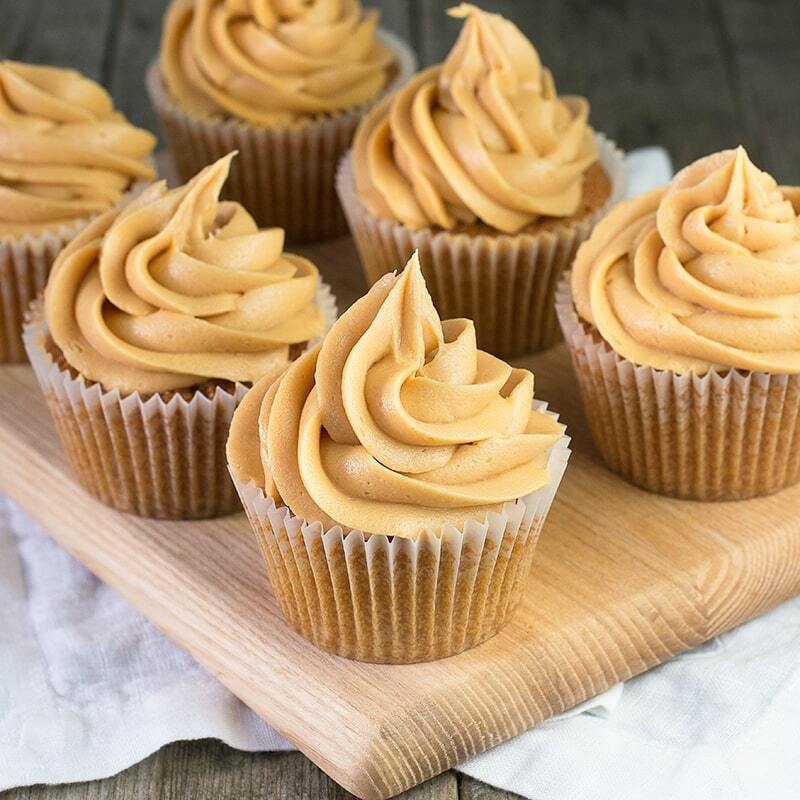 Easy to make delicious caramel buttercream in just a few minutes. 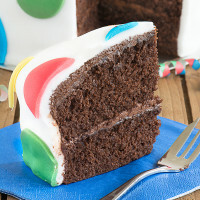 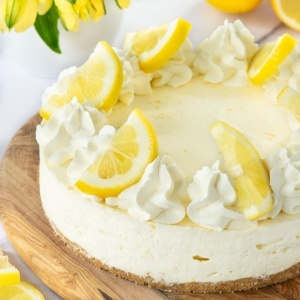 Perfect for topping cupcakes, layer cakes or special celebration cakes. 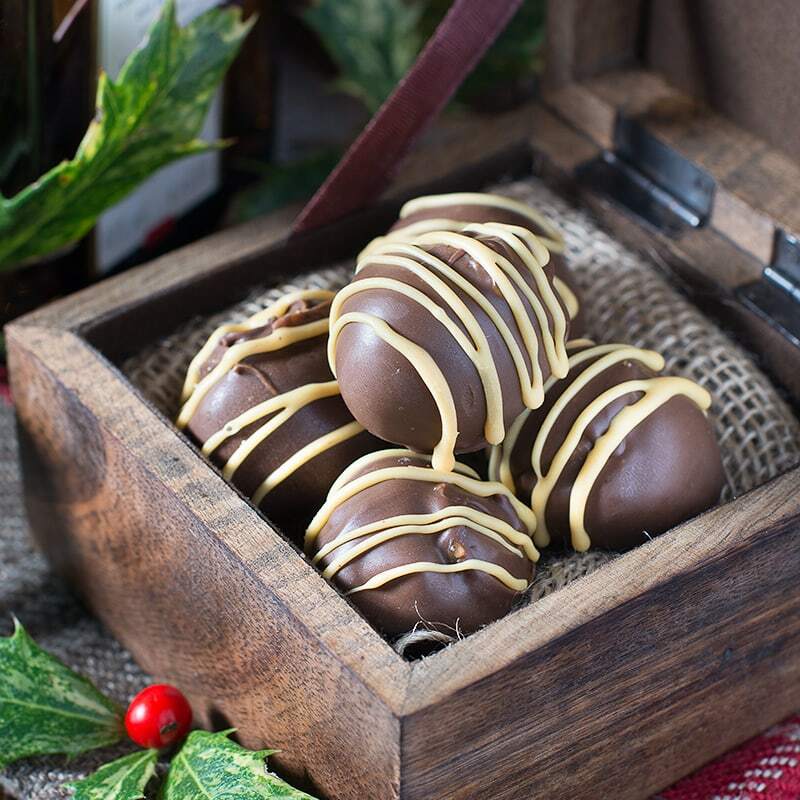 How to make orange liqueur truffles. 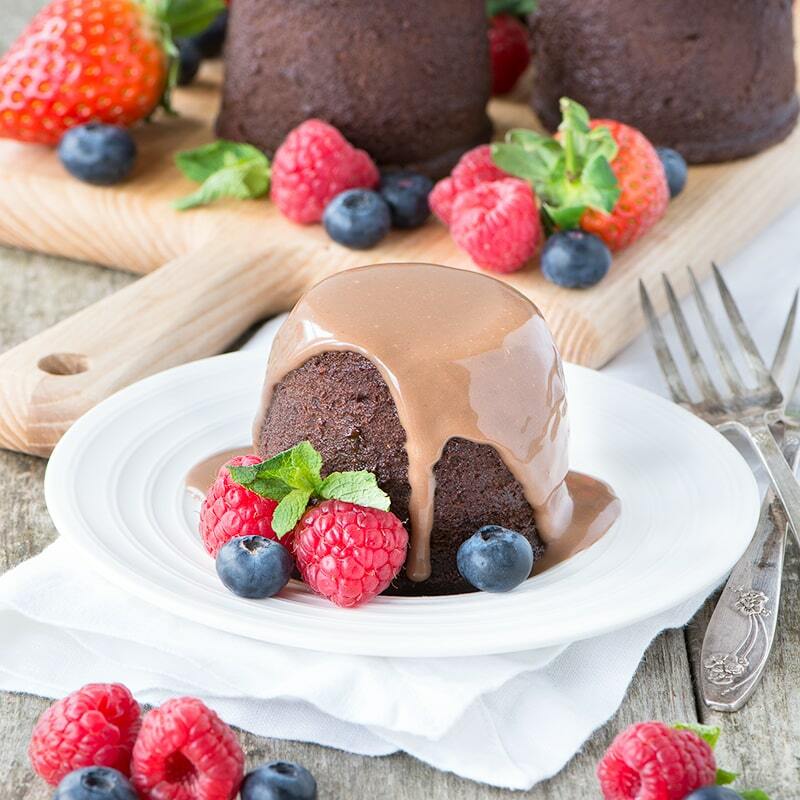 There are two versions of this recipe, my original chocolate coated truffles and a quick and easy version. 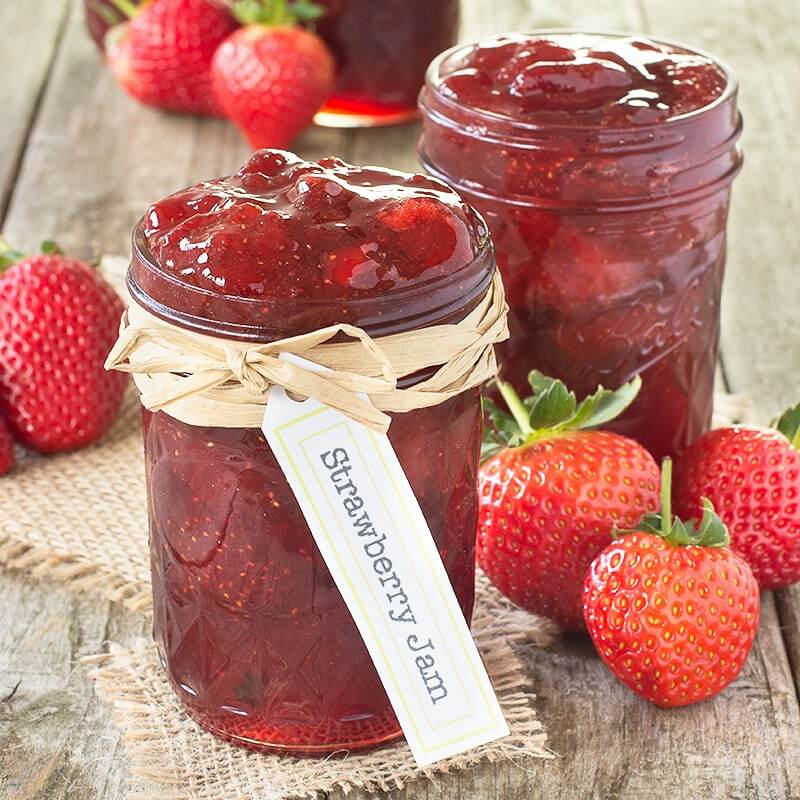 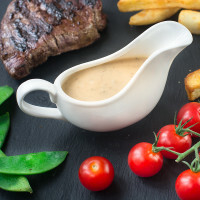 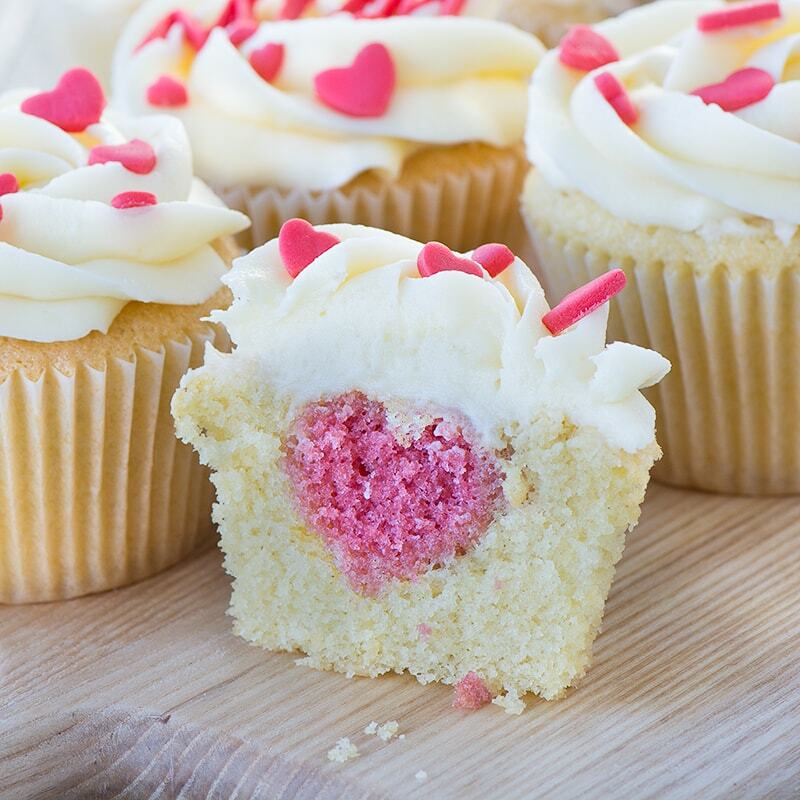 Both versions taste absolutely delicious and are the perfect gift for someone special. 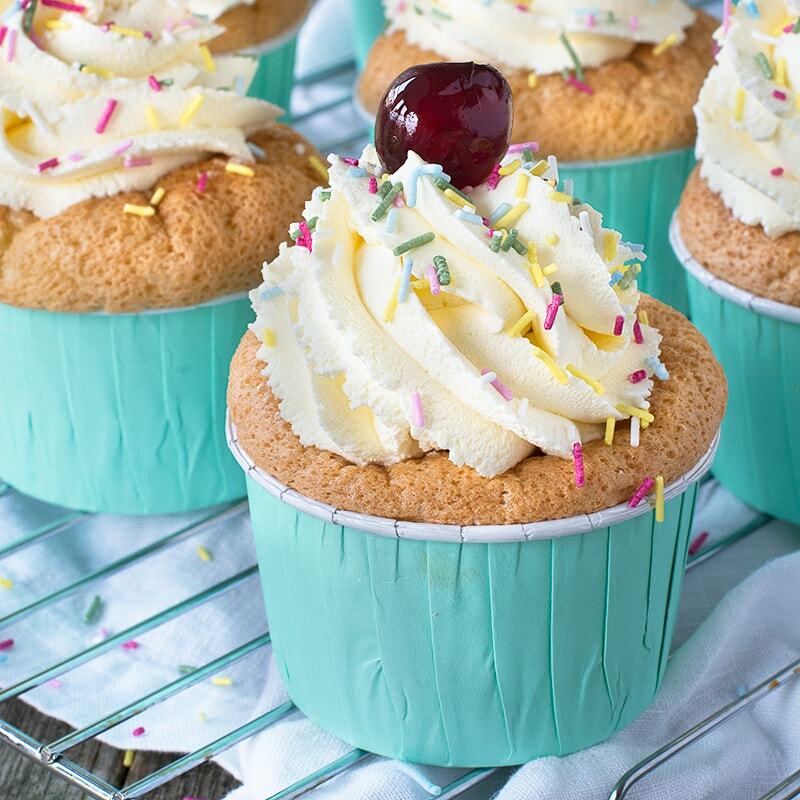 The classic dessert in cupcake form – Raspberry soaked sponge finger-style cupcakes filled with fresh raspberries and custard and topped with whipped vanilla cream. 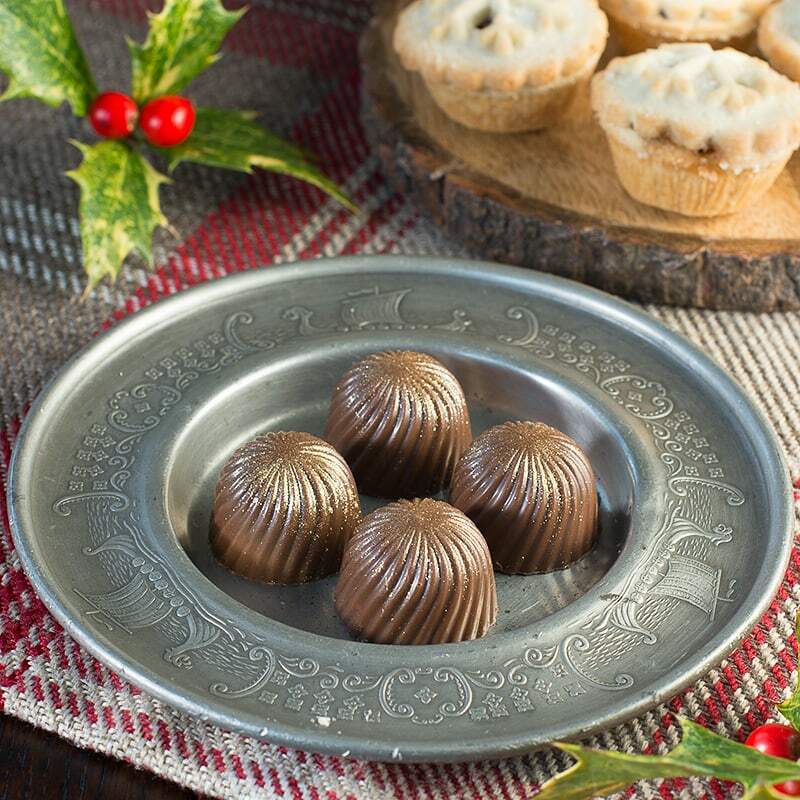 Delicious festive chocolates with a milk chocolate, mincemeat and brandy truffle filling.